Want to see this comic early? In color? Check out my Patreon Page! I’ve heard of some of these stories, and I’ve seen others. 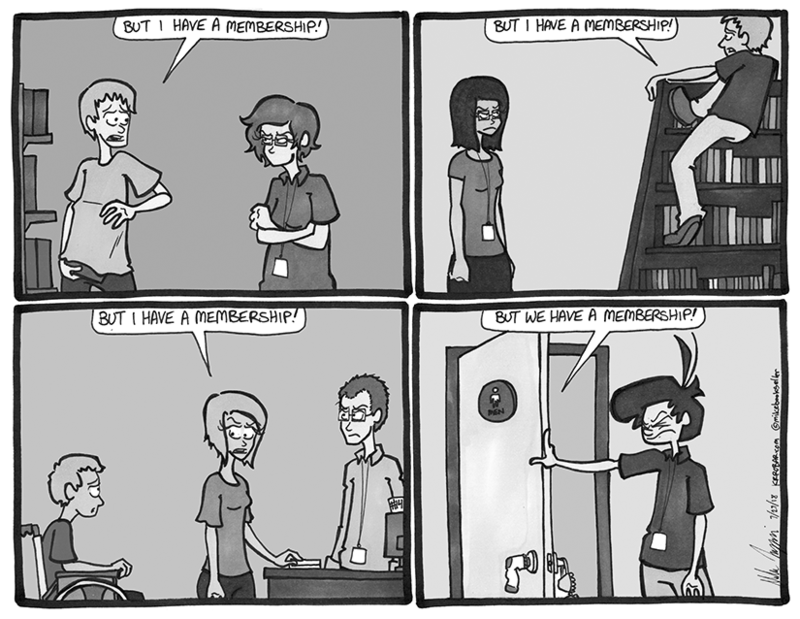 The audacity of people who bought a membership card thinking that they now own The Bookstore is pretty silly. It’s a loyalty program and nothing else. I’m no stock holder for using a membership. It saves me a small percentage on clearance items. People have cut in line, climbed on shelves, and did some… stuff… in the restroom thinking that they get preferential treatment because they’ve subscribed to a discount card. The people we give preferential treatment to are all the people we think will give us money. Then, hopefully they’ll come back and give us more money.